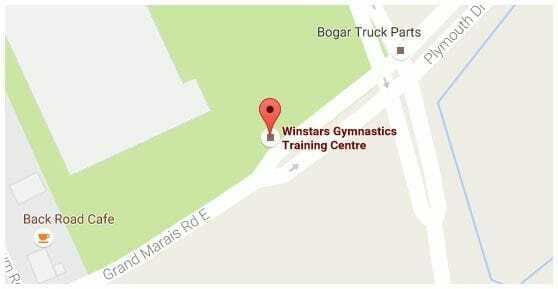 Gymnastics Academy here @ Winstars! The Academies of WECDSB offer students an opportunity to pursue their individual passions by focusing their efforts on particular disciplines, both athletic and academic. Open to students in Grades 7-8, the Gymnastics Academy will help student athletes, ranging from recreational to competitive, learn and improve on advanced individual skills and lead up progressions, while developing a lifestyle inside and outside the gym that emphasizes building character through achieving both athletic and scholastic success. Purposeful practices led by highly trained staff, strength and conditioning designed to maximize physical attributes, and a focus on leadership will all position the student athlete to achieve their individual goals. Strength & Conditioning Training: In-season and off-season training plans are designed for today's serious gymnasts and compliment the Sport specific training. The goal is to maximize the effectiveness of all gymnastics specific energy systems focusing on strength, power, agility and cardiovascular training. Watch these two videos from a Gymnastics Academy athlete and parent! Come join our Ninja program! Winstars Gymnastics is excited to announce the offering of a Ninja Gym program. Our Sunday afternoon program for 10 years and up is already completely full. But, we still have a Thursday evening class 8:30-10:00pm. with availability. Our Thursday evening program will be geared to ages 14 and older. "Ninja gymnastics has become a very popular new sport with the rise of shows like America Ninja Warrior. With this in mind, we decided to offer a Ninja gymnastics based program to promote this new sport in a fun and safe environment. All participants will learn basic Ninja gymnastics through obstacle courses, jumping drills, trampoline training and spatial awareness." stated Timarie Rideout, Supervisor and Ninja Developer. Timarie had the opportunity to learn lots of Ninja gymnastics drills and progressions while attending the Woodward Gymnastics Camp in Pennsylvania and California this past summer. She is extremely excited to pass on this information to all young people of Windsor. Even though our session has started, participants who are 14 years and older can still register for our Thursday night class. 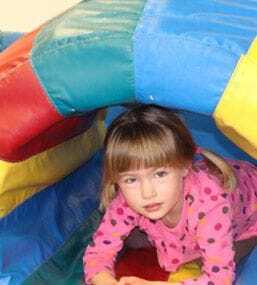 Rideout says, "Our first Ninja gymnastics class was so exciting and the kids learned lots. Not only is it a great physical actvity it's LOTS of fun too!" 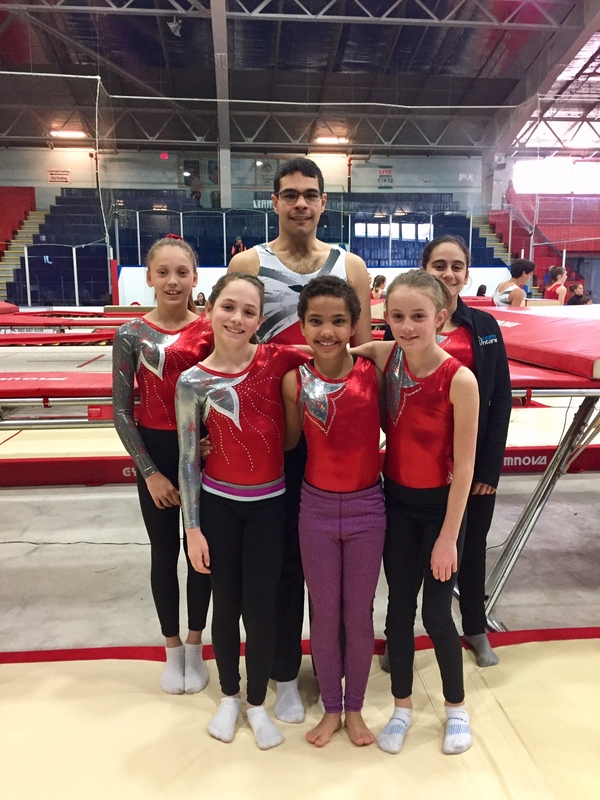 Winstars Tracy Davies chosen as "Coach of the Year"
Winstars Tracy Davies, a veteran coach of almost 20 years, is Gymnastics Ontario's "Coach of the Year". Davies, a former artistic and tumbling athlete herself, was presented by her good friend, Heather Smiley, with this honour on the weekend at the Gymnastics Ontario annual awards banquet. Tracy has worked for Winstars since it opened in 2000. For years, Tracy worked as a fitness instructor and desk staff in our fitness centre in our last two locations. Since moving to Central Park Athletics in 2013, she has worked as a coach in the Tumbling program. In addition, Tracy works in the office as our competitive program administrator. Tracy has coached many athletes over the years and has had several provincial and national champions. Most recently, Tracy (and fellow coach Rob), have coached Alexandra Jubenville for some time. Jubenville will be attending the World Age Group Trampoline & Tumbling Championships in Sofia, Bulgaria in November. Alex has competed at two previous international competitions last year in Portugal and New Zealand. Winstars is very fortunate to have Tracy on our staff. We congratulate her for the years of coaching service to these young athletes. This "Coach of the Year" award is very well deserved. Great Results from our Eastern CC Athletes! Congratulations to Holly L. for placing 2nd overall at her first Eastern Canadian Championships in Sackville, New Brunswick! In additon, Holly who is 15 years old had a great experience as a member of the 4 person Ontario Team. This Ontario Team came home with a Gold Medal. On the individual events, Holly received a gold on balance beam, silver on floor exercise, 4th on vault and 5th on uneven bars. 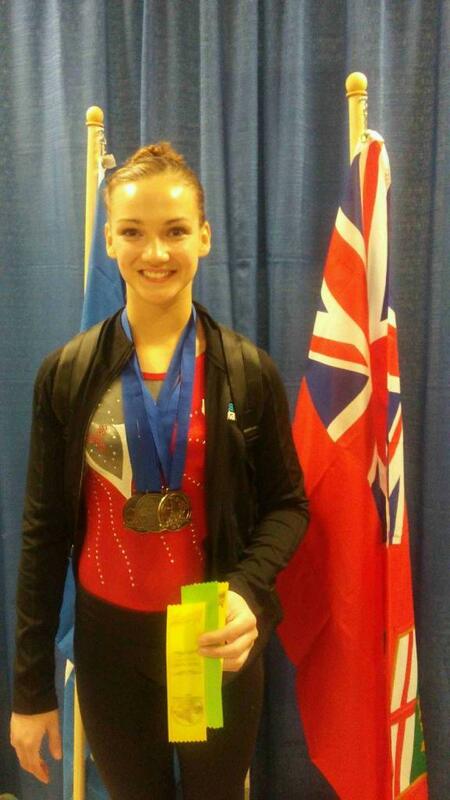 Congratulations to Holly and coach Karen for the amazing success at these Eastern Canadian Championships. Our T&T program had another success Eastern Canadian Championships in Amherst, Nova Scotia. Gold medals were won by Sofia D. and Ava M. in tumbling, while Ava added a silver medal on double mini tramp. Alexa M. scored two medals, silver in both double mini tramp and trampoline. Anis kept up his recent medal streak and worked his way to a silver medal on double mini tramp. Alya M. medalled with a silver on double mini tramp. Congratulations to all our T&T coaches on preparing your athletes for these championships.